This photo definitely captures the change from summer to fall. Hydrangeas have bloomed profusely this summer. 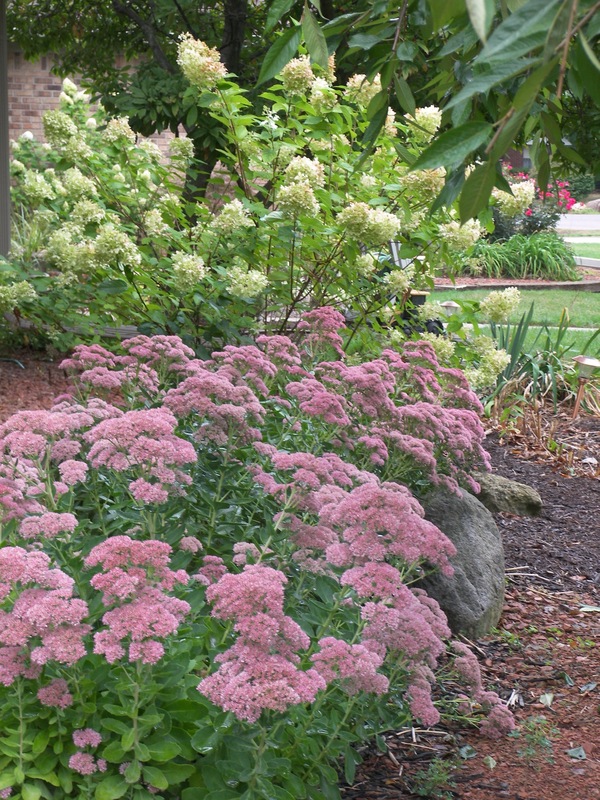 The Autumn Joy Sedum is buzzing with bees on blooms that will darken during the shorter days and cooler temperatures.